Ask me for permission and specify what you wish to use. Not all assets are mine. Look in the credits list or ask me if you have any questions. Do not upload anything without my express permission. 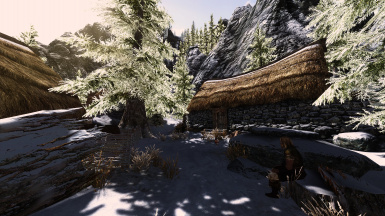 First and foremost: A special thanks to Breti, the creator of the Rochester mod, for providing me not only with 99% of the resources used, but also for his help with the Solitude resource collisions. Without him, there'd be no project. Thank You. Alfredasl deserves recognition for writing the books for Holds with me. 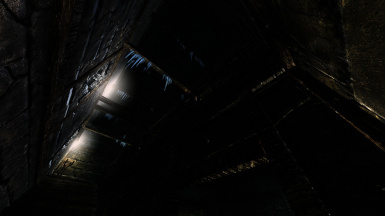 I would also like to give a special thanks to Drakulux who created the mod http://www.nexusmods.com/skyrim/mods/11534/? which he has allowed me to implement into Holds. I have implemented it from the ground up, with some minor changes. But I still think Drakulux deserves recognition for his hard work! 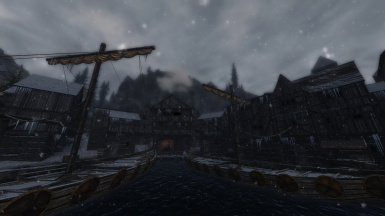 Kalzim7878 also deserves recognition for allowing me to mimic parts of the Solitude harbor to his mod http://www.nexusmods.com/skyrim/mods/22821/? . I have of course implemented it from the ground up, with rather large changes, Kalzim7878 nice harbor outlay was definitely inspirational, thank you! I also believe Rilax deserves a mention. He has at the time of this writing not released the work I was inspired from. 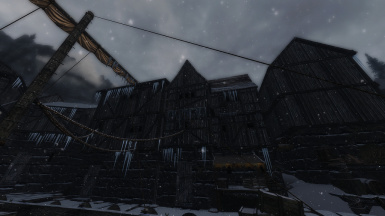 He did however upload a couple of screenshots from the Riften Waterfront that inspired me to make similar changes. He deserves recognition for his hard work! Lastly a man called Reindeer51 deserves a big thank you for his understanding and permission. 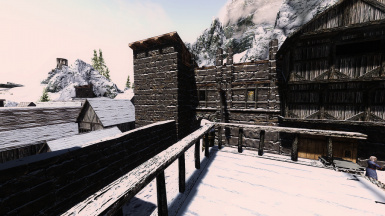 Reindeer51 is the author of the "SNOW CITY - Windhelm Unleashed" mod: was kind enough to grant me permission to make a similiar design in my expansion of the city to the west. Thank you! If you've granted me permission, and don't find your credits here, please do contact me, however there have been many permissions granted, and I have yet to make use of all of it. However do know that your content is well appreciated all the same, and will likely be used in the mod eventually. When it is used, the credits due will of course be granted. 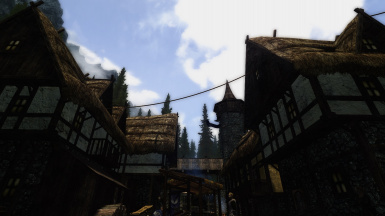 Holds is a city overhaul project which focuses on what I think are the weaknesses of Skyrim compared to the older Elder Scrolls titles. 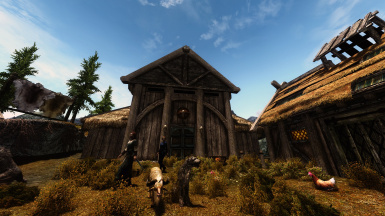 The mod expands upon the cities of Skyrim and adds more settlements, architecture, outfits, books and named characters with their own backgrounds, homes and daily routines while ensuring they feel natural and realistic. 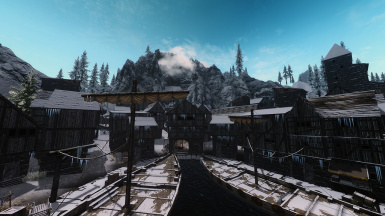 Falkreath, Winterhold, and Dawnstar have been rebuilt from scratch with their own unique designs. 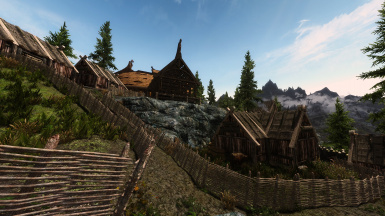 The mod also adds a bundle of new settlements like Amber Guard and Black Moor. Most of these new settlements have been placed far out of the way and hidden from view to not ruin the expansive wilderness theme of the game. The aim of all of this is to create a more memorable and diverse experience, making the cities actually feel like cities hopefully without ruining the natural and realistic design of the vanilla game. This is not a botanical garden mod, nor is it a beautification mod. Holds aims to stay as lore-friendly as possible and at the same time expand on the backgrounds and stories for its locations. 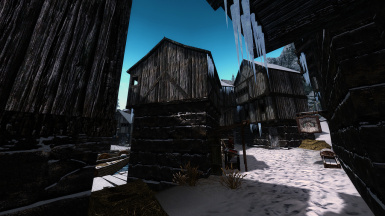 I started working on this project late November 2012 and have devoted averagely two hours a day to the creation kit. One of the reasons I felt this project was necessary was the announcement of various modding projects adding new content to the game. 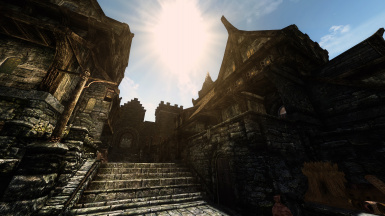 The problem, for me was how expansive their cities looked compared to the cities in Skyrim. 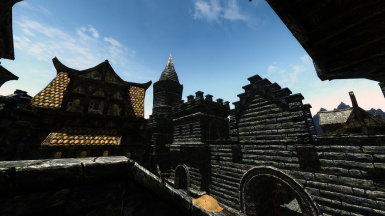 Coming into Skyrim from Oblivion I was expecting there to be a 'Better Cities' mod available early on, but there wasn't and I missed the features the Oblivion City Overhaul brought to the game. 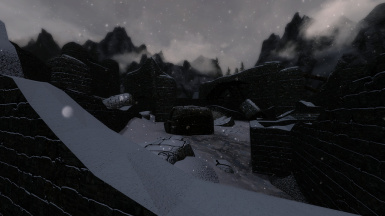 The mod adds a variety of new books written by myself and Alfredasl which attempts to flesh out the land and history of Skyrim. 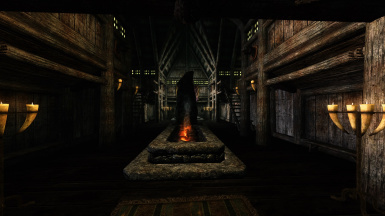 They are spread to three locations: the Book Store in Falkreath, the Haafingar Library in Solitude and The Palace of Kings Library in Windhelm. Any criticism, questions, and help will be greatly appreciated, even the criticism. However I will have to ask that you make constructive criticism; your opinion does matter and could very well inspire me to make changes, however I have designed this project with myself in mind. Make sure that you have a stable and performance friendly game. 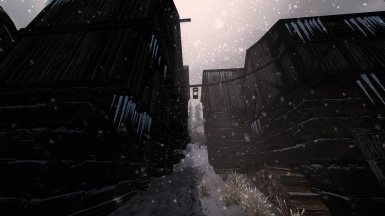 Install the meshes and textures from 'Winter Is Coming - Cloaks' by Nivea. You do not need the esp, but you do need the meshes and textures. Give her an endorsement while you are at it. Now install Holds into your data folder. Make sure you have compatibility for the mods you suspect would conflict with Holds, see the map on the description page if your unsure, the red marked area's are altered by the mod. Make sure that Holds is at the very bottom of your load order, and that your compatibility patches are beneath the Holds.esp. Now activate Holds and whatever compatibility patches you choose to use in your load order and launch the game. Any problems you encounter can be discussed here on the mod discussion panel, or reported in the bug report panel. 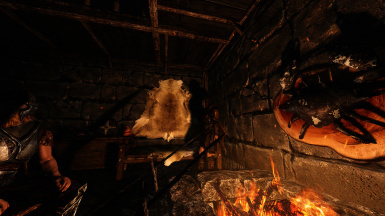 It is advisable to start a new game after installing Holds to avoid annoyances such as the game remembering a bed at a certain location which leaves it stuck in a wall or- something because Holds changes the location. 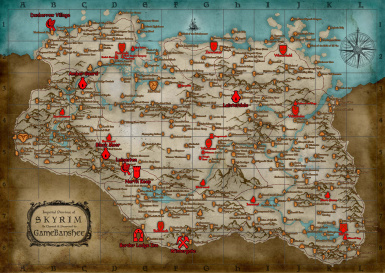 Memorable cities and new settlements, named individual characters with daily routines and background stories. 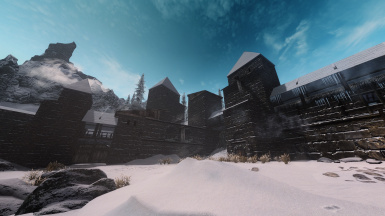 New shops and inn's, new designs and new books, new outfits, and new locations and secrets to explore and more content in the future, as well as focusing on the other weaknesses that Skyrim has compared to the other games. Implementing modular versions of the mod, separating cities and settlements for people who only wish to use parts of the mod, and perhaps combine them with other City Overhaul Projects. Implementing Dialogues for the characters. Adding Quests which will be added step-by-step as I complete them. Implementing new Guilds, as well as working on continuations/conclusions to the vanilla guilds which I felt was left hanging on a poor note. Implementing new systems such as Banking, alternative transportation with radiant events, and more. Finishing and implementing area's that were not included in the current iteration. 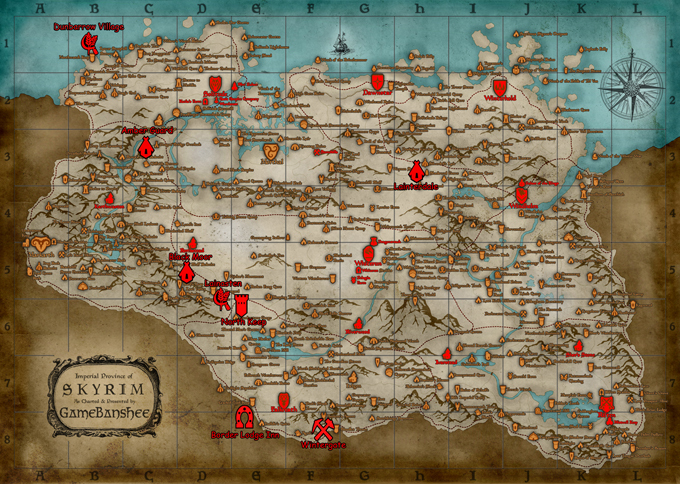 Depending on the popularity of the mod I would consider adding more books, more locations, dungeons and more. I have enjoyed modding this project and I will gladly continue working on it for as long as people find my work enjoyable. 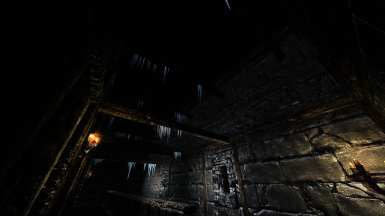 There are many features implemented in Holds already implemented, artifacts to be found, vaults to be looted and secrets to be unlocked. I will at some point release a guide to all of this but for now I hope you will enjoy exploring on your own. I would welcome any help with open arms. I will also support anyone who wishes to create patches/fixes/new content for Holds, provided they use my mod as a dependency. Helping me get noticed, and perhaps volunteering yourself as a developer, writer or voice actor would be very appreciated! Q: Do you intend to make this modular? A: Yes! I do, but because of the deadline I did not have time to do so before release, expect it to be modular soon! Q: I see purple textures on some of the outfits! 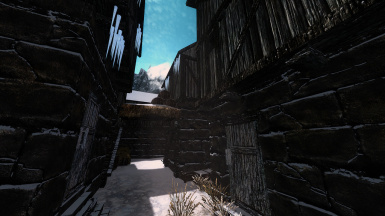 A: Your likely missing the meshes and textures of the 'Winter Is Coming - Cloaks' mod by Nivea. Q: I have found a bug/problem! What do I do? A: Report the bug in the bug panel. And I will see what I can do. Q: This mod makes my frame-rate drop at 'X' location(s). 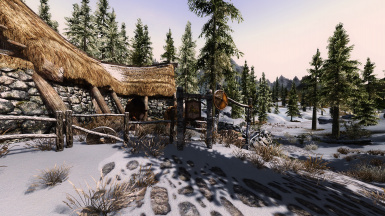 1: Unchecking ObjectPostProcessing in your ENB, and lowering your ENB quality. Seriously don't have your game looking like you've lost your contact lenses, its not good for your eyes and not good for your performance. 2: Evaluating your choice of texture and meshes. 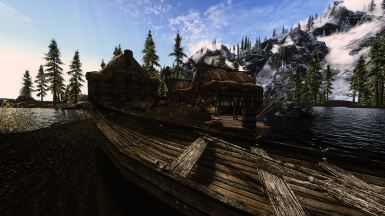 This is purely subjective as I use as much 4k resolution textures as I can and have an average 57-60fps even in the heaviest area's (Falkreath, Solitude harbor). This depends completely on the quality of your computer and is something your going to have to figure out how to deal with on your own. Alternatively I could be persuaded to create a performance version of Holds. Q: I crash instantly at 'X' location. What do I do? 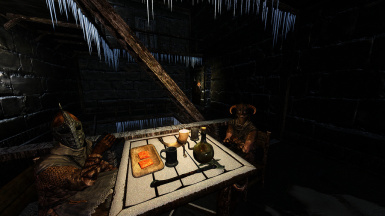 A: Report it in the bug panel and make sure you include a list of your Skyrim Load-list, and I will see what I can do. Q: Is 'X' compatible with Holds? Q: Can you make 'X' compatible with Holds? A: Sure, provided the mod author is okay with it. Ask away. Q: Can I make a compatibility for Holds? A: Yes you may. Do ask if you have any questions. Q: I want to create a patch/fix/extra content for Holds, do I have your permission to do so? A: Not only will I support you, but you do not need to ask me for permission. Provided you make your mod dependent on Holds and do not include any of the meshes, textures and scripts, or claim ownership of Holds. 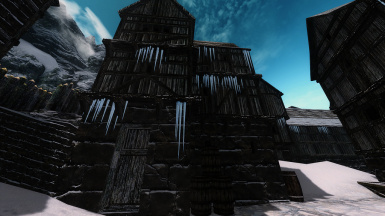 Q: May I use your meshes and/or textures in my own mod? A: Ask permission. I do not own everything in the mod, but even so I am comfortable making sure I know who makes use of my own content. Q: May I re-upload your mod at another mod sharing website? A: No. This mod is -Mine- and on the Nexus only. If I find out you've stolen this mod or uploaded it as part of some mod-pack then I will be very angry with you. Q: I was wondering if I might share some idea's and perhaps things I want changed about Holds, where can I do so? Q: Would Holds be interested in benefiting from my talents? As a voice actor/level designer/writer/quest and dialogue designer? A: Yes, but I will need to see examples of your previous work. Please post your work here and I will get back to you as soon as possible! 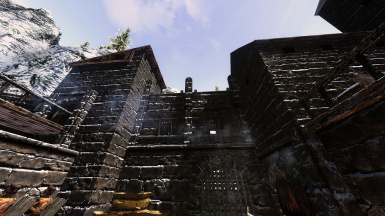 Q: I've uninstalled your mod but I still have your LOD, how can I fix this? A: Use LOD generator to overwrite the Holds LOD. It is very easy to use, follow the instructions. Q: I don't like this mod. It is not for me. A: I am sorry to hear that. Holds is a Project that I have created with myself in mind. I hope you find a City Overhaul that suits your preferences. Q: I am having purple tree's, please help me! A: Try deleting the "Trees" folder inside Data/Meshes/Landscape. The old assets accidentally included a few SFO trees which is causing the issue. And Nexus refuse to update to the new version properly even after re-uploading the files. Q: I am having problems downloading the assets/Meshes, textures and scripts. A: For some reason some are, some aren't. I am trying to fix this, if you experience this problem then post it in the comment section so I know the problem persists. I am trying to find ways to fix it!